Sources: Cultured in ponds in WI, MN, SD, ND. Some are farmed in Arkansas. Fatheads are the most popular and universal of baitfish. 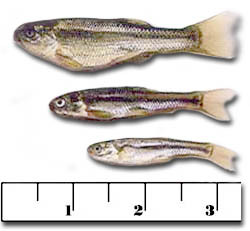 Commonly used as forage for gamefish.